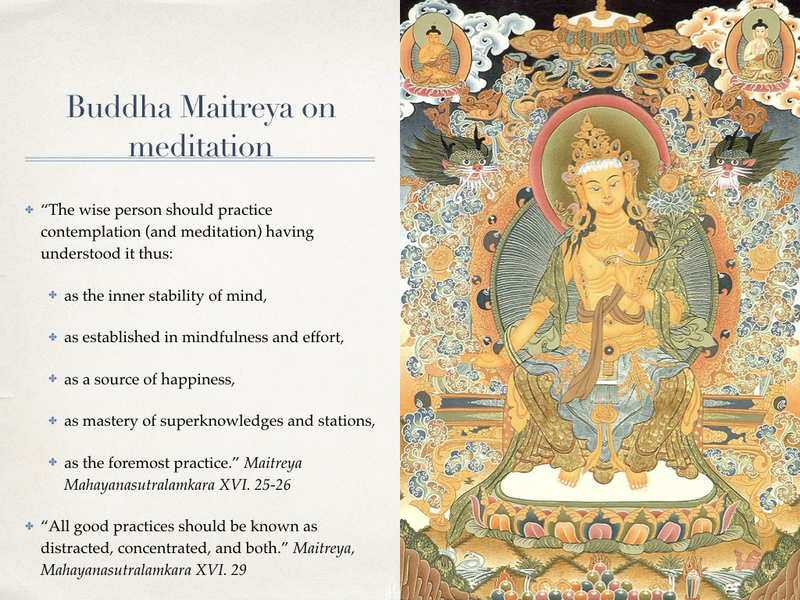 Maitreya communicated five treatises through Asanga around 400 AD. One, the Mahayanasutralamkara, is about the bodhisattva path. Contemplation and meditation are expounded upon fully as both develop the heart and mind of the practitioner to a profound extent. The quote given below is clear and concise. We will use them for a couple of weeks. Thanks for making and posting, Donna. I shared this with a couple of people who are interested in learning more about how to meditate, why, etc. Great, brief, informative, and active. You are most kind, Sally. I hope your friends find a form of meditation that suits them. If it is here on BlazingLight, how cool!